If you’ve looked into treatment options for your thinning hair or hair loss, you’ve probably read quite a bit about the technology options that are out there. Like everything else in this hi-tech age, hair loss treatment has evolved, and you might be confused about what may be right for you. One term that you may have heard about is follicular unit extraction (FUE), a minimally invasive technique of hair transplantation that is virtually painless and scarless. Two methods of FUE include Robotic FUE, such as the ARTAS® Robotic Hair Transplant System used at RHRLI and another FUE system called Neograft. While both systems use technology and are less invasive than follicular unit transplantation, often called “strip surgery,” the ARTAS® System offers more accurate, cutting-edge technology for those seeking treatment. One of the primary differences between Robotic FUE (RFUE) and Neograft is the precision you’ll see from the ARTAS® System. It’s more accurate because it employs a robotic arm rather than the manually operated system used by Neograft. At RHRLI, the difference will become apparent at your first visit. You will consult with our hair restoration team and undergo a full scalp examination. Our team will develop a detailed plan of treatment in conjunction with your wishes and desires of what you want from your hair restoration procedure. The ARTAS® System uses digital image guidance and magnification to find and target the strongest and healthiest donor hair groupings for use in the transplant process. The Neograft system has no such capabilities. Finally, there’s the finished product. 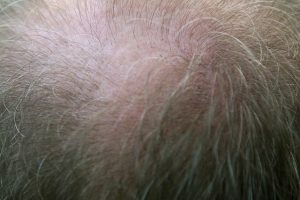 With the ability to provide consistently healthier hair follicles for transplant, RFUE using the ARTAS® System will provide you with a fuller head of hair without causing issues in the donor area, typically the back of the head, from where the hair follicles for transplant are typically harvested. The donor area will still look natural because the ARTAS® System has the ability to map out where to find the appropriate follicles to be transplanted and leave adequate spacing between harvested hair. Neograft doesn’t use digital mapping leaving the operator guessing where to find best donor hairs. This can lead to overharvesting and thinning out of the donor area. RHRLI will be happy to lay out the advantages of RFUE. We’re the only hair restoration center in Nassau, Suffolk, Queens or Brooklyn that is equipped with the ARTAS® System. Your first step is to contact us for a free consultation today.